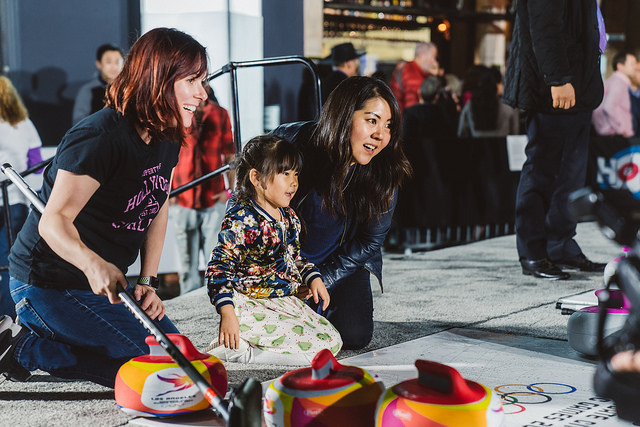 With one year to go until the Olympic Winter Games are celebrated in PyeongChang, South Korea, organizers behind the Los Angeles bid to host the Olympic and Paralympic Games in 2024 celebrated by staging a street festival in Koreatown. 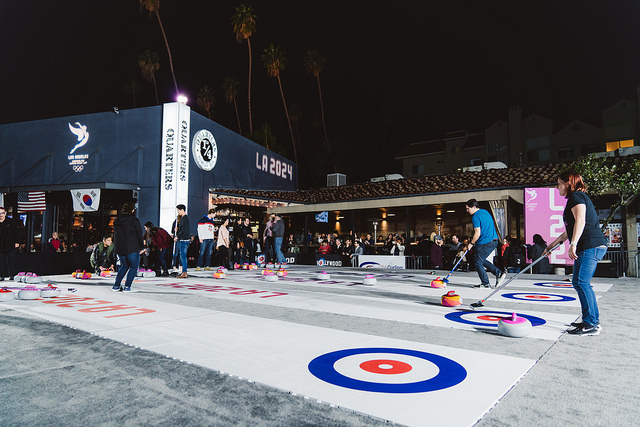 The Thursday evening event, held in the center courtyard of Chapman Market, featured four lanes of street curling and a pop-up karaoke stage with activities led by Olympians, Paralympians and experts from the Hollywood Curling Club. The event, LA 2024 claims, “underscored the city’s unified support of hosting the Games in 2024.” The bid to stage the third Olympic Games in the city is supported by 88 per cent of Angelenos according to a poll taken in 2016. The PyeongChang 2018 Olympic Winter Games will take place next February marking the first time the nation has hosted the snow and ice event. Los Angeles is competing against Budapest and Paris to host the Summer edition in 2024 with the International Olympic Committee (IOC) electing a winner September 13 in Lima, Peru.